The music is hot and the beer is cold! We’re thrilled to kick off our annual Hot Summer Nights in the biergarten. Both residents and the public are welcome to join this free, weekly outdoor music series. 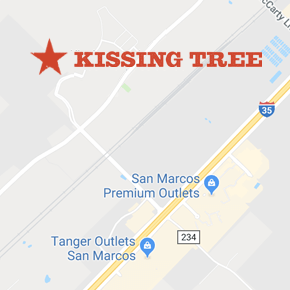 Enjoy drinks at the bar at Independence Hall, taste the latest creations at the Kissing Tree food truck and dance the night away under the Hill Country sky. Take a look at the full schedule below and get ready for Tuesdays at Kissing Tree!